Everybody recovered from the Superbowl? It was a fun game. Mostly because of the food. But today, I’m feeling like I may have eaten just a teensy bit too much last night. I’m in the mood for something light. Something clean. Something healthy. 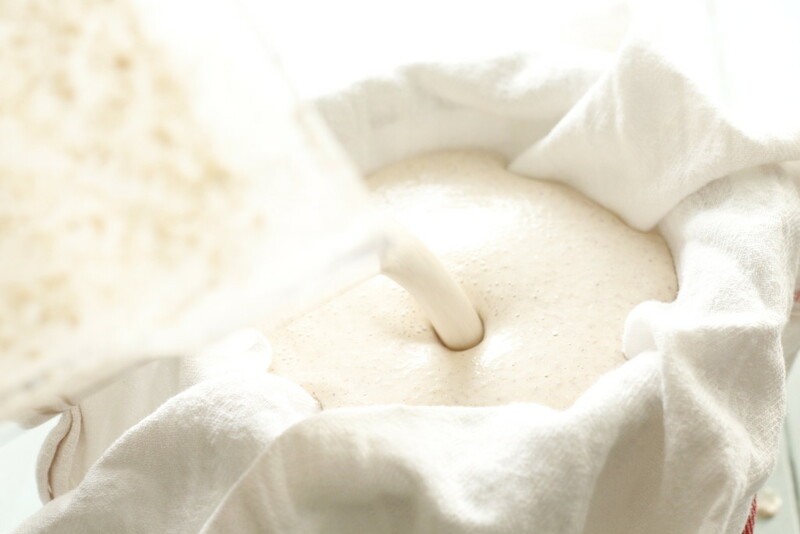 I’ve recently discovered how to make homemade almond milk. I like to add it to smoothies. Some people drink it straight up. It really isn’t so hard. And it’s not full of preservative or crazy flavors or excess sweeteners. See, perfect for the day after you ate too much fried stuff! 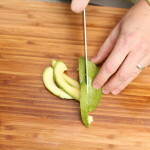 First you start off with raw almonds. They need to be soaked overnight. 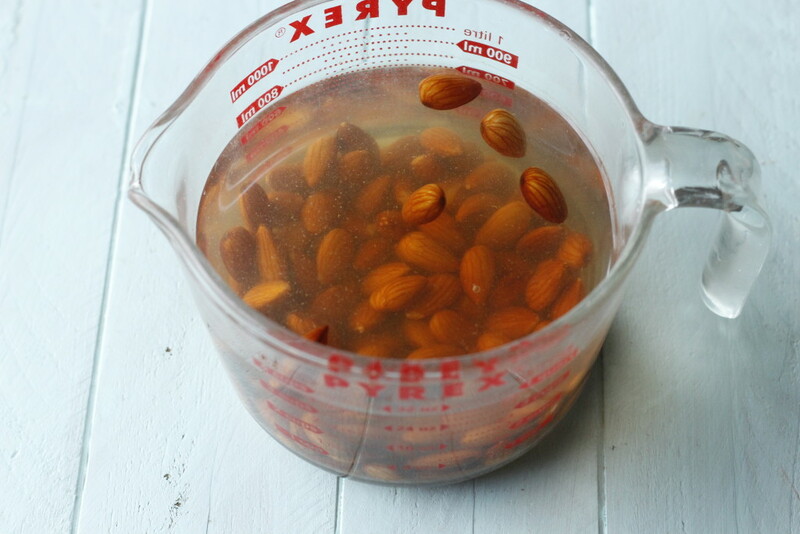 So place about 1 cup almonds in about 2 cups water. And leave on the counter overnight. They will soften and plump. 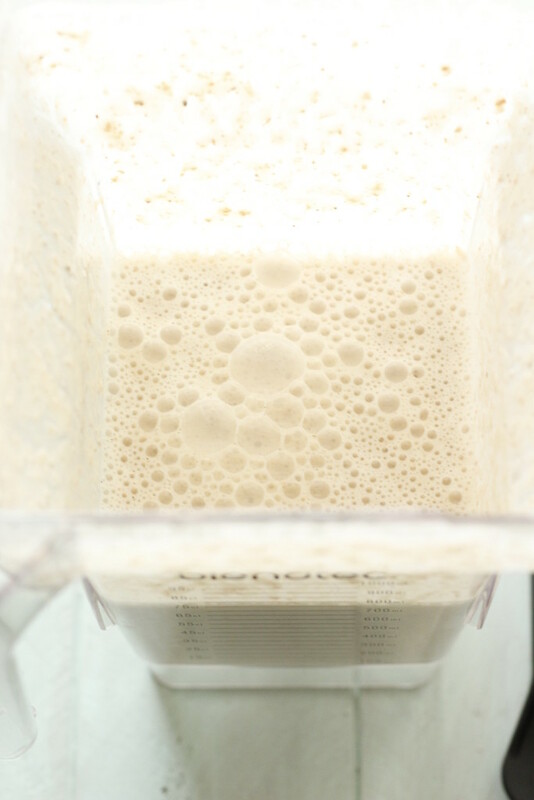 Ready to be turned into liquid goodness. 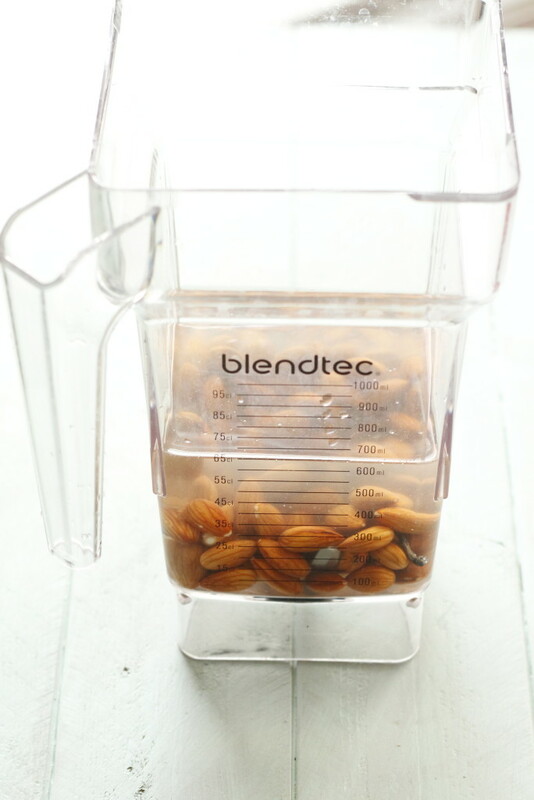 Pour off the soak water and place the almonds in your blender. 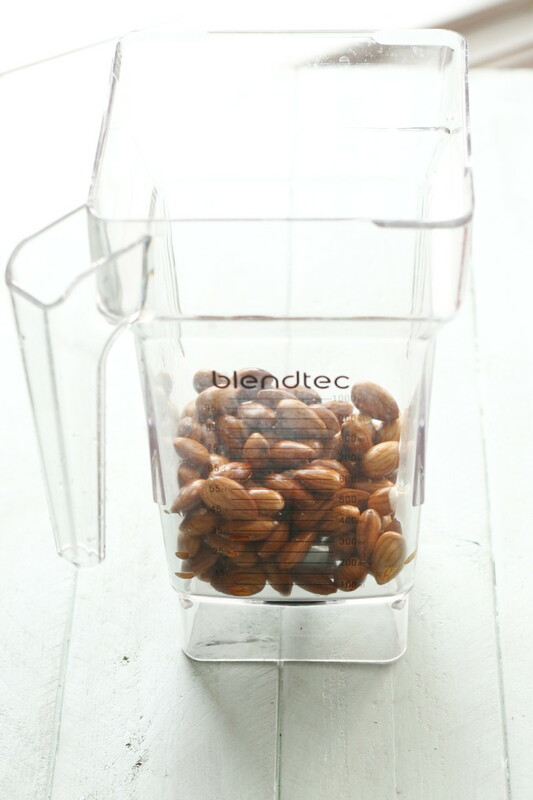 Blend the heck out of the almonds. 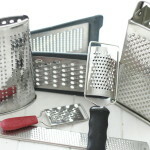 Next place a thin tea towel over a strainer over a container. Was that confusing? Pour the almond milk into the tea towel. They have a special filter called a nut bag you can use if you have one. I can’t help but giggle when I say it. 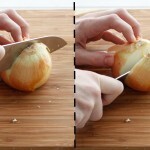 Squeeze the tea towel until no more liquid comes out. 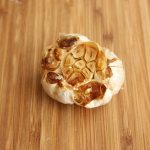 You can save the almond pulp, or just discard it. This is what remains. 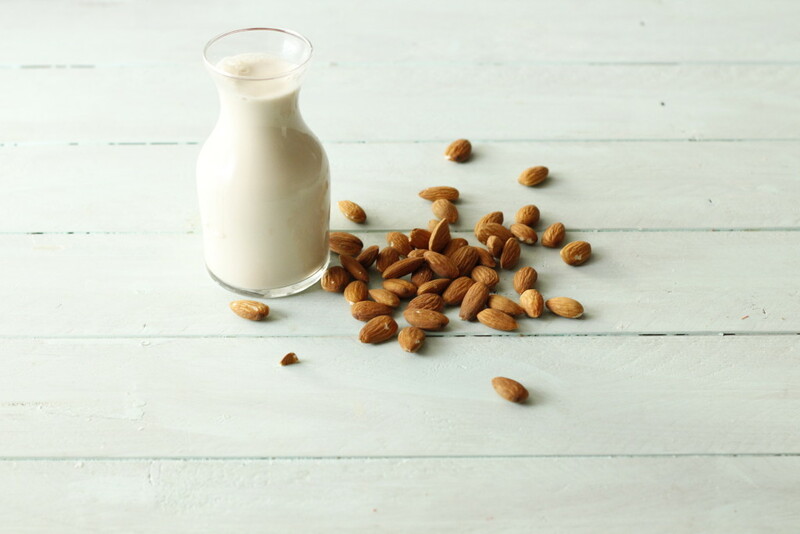 You can get about 2 cups of almond milk from 1 cup of almonds. 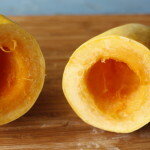 Now you can add it to your smoothie or just drink it. Whatever floats your almond boat. 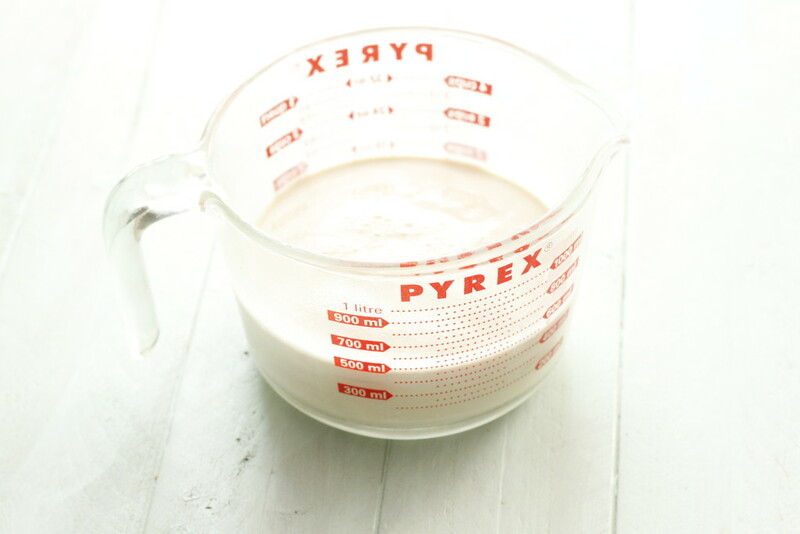 Re: homemade almond milk recipe…where do i buy tea towels? Specialty store or Walmart-type? Wal-mart! You want a thin towel that isn’t densely woven. 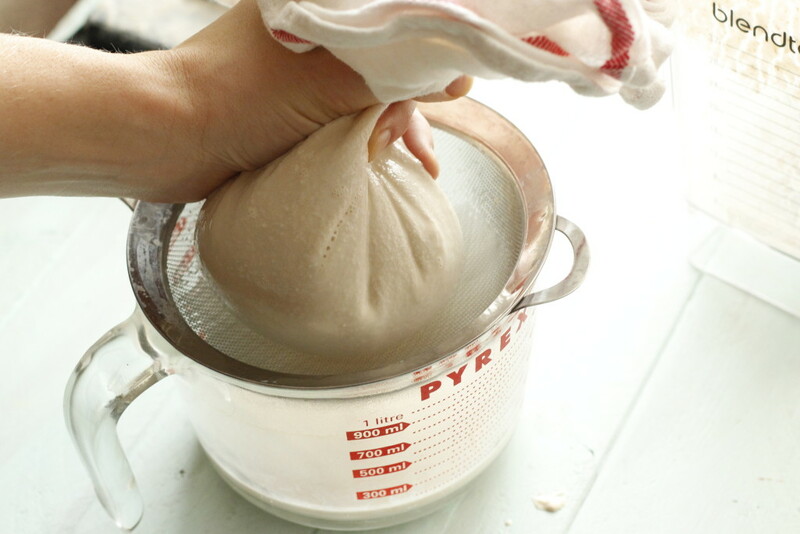 Linen or flours sack towels work great. Tea towels are just another name for kitchen towel.